Our product range includes a wide range of flash light, hmi pocket par, hmi classic series, hmi compact light and film lighting. 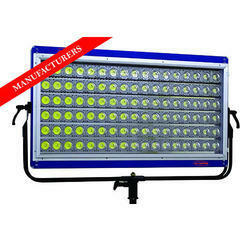 By keeping track with the latest market development, we are engaged in providing a superior quality range of Flash Light which is suitable for documentaries corporate films, the offered flashlight is designed by our professionals as per the set quality norms by utilizing the finest quality material and advanced technology. Housing: Aluminum casting with high-temperature powder coat texture finish. Reflector: Aluminum parabolic high reflectivity specular reflector. Power Supply: Input using square wave flicker free AC electronic ballast. Safety and Reliability: All metal parts are protected against corrosion. 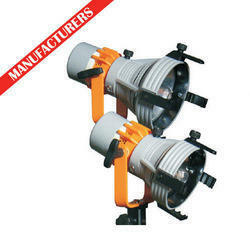 Housing-Light head: Diecast, aluminum extruded sheet with cylindrical housing construction and epoxy powder coated. 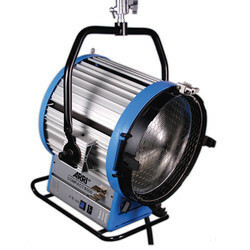 Lamp: 2500W HMI lamp, 5600K color temperature. Lamp base: G 38 lamp base. Reflector: Spherical high reflectivity aluminum anodized reflector. Size: 625H x 475W x 555Lmm. Ballast: 2500W Electronic flicker free ballast. Optional accessories: 4-leaf Barndoor, 5 pieces of effect lens. We hold expertise in offering our clients a wide range of HMI Compact Light. 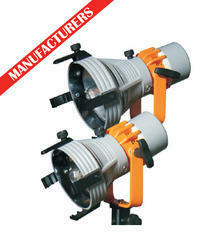 The offered compact lights are tested on quality provisions for supplying a flawless range.